There is an additional option that enables to elevate advertising to a completely new level. It comes in the form of a concept called retargeting. The name itself hints the basic idea, but I propose that we start with a little story extracted from the digital and set into real life. I was buying sneakers and found a pair that checked all my boxes in the very first shop. Unfortunately, the price was slightly above the budget I set for the purchase, so I wisely decided to hold off with the purchase. On my way home, I stopped at an electronics store to get some batteries. When I entered, the salesman from the shoe store greeted me, saying: “Do you still want to buy sneakers? A sale is starting tomorrow.” I looked at him, very confused, but went on about my business. The next day I was in possession of a new pair of sneakers and had a few extra pennies in my piggy bank. Not shabby at all. Retargeting, also known as remarketing, is a technology usually based on cookies, intended for tracking users on the internet. This is how it works: certain code is inserted into a website, not visible to the end user, or in any way affecting the behaviour of the website. When the end user visits the website that contains said code, a cookie is stored onto his device. As the user visits other websites that serve the retargeting campaign created by the owner of the first website we mentioned, the cookie provides information on which sites the user visited previously, i.e. what his interests are. At that moment, based on campaign setup, the user is served ads containing the topic or the brand in which the user showed interest. In regards to our recent experiences with AdCumulus, this concept significantly supports conversion. When users land on a landing page or in the web shop, few of them will finalize the purchase, or in industry terms, convert. However, a major part of users will not, and for a number of reasons. This does not necessary mean that they have completely abandoned the idea of purchasing the product and that they are forever lost to us. It might be simply that their attention was diverted elsewhere while they were browsing through the offer. Retargeting enables the return of strayed users so they can continue their conversion process. Usually it refers to purchase, filling out forms, leaving contact information, etc. On the other hand, already converted users can be separately segmented and offered additional information about the product they just bought, up-sell or cross-sell. Retargeting is accompanied by several problems, justified or not, which I’ll try to explain shortly. Imagine that the first paragraph of this text isn’t just a made up story meant to stir your interest. Imagine that the salesman from the beginning of this text remained persistent in his efforts, following me around while repeating the same message over and over again. Aggressive, tactless and not at all polite – that would have been an example of bad retargeting, extracted from the context of internet. The consequences cannot be positive or cost effective. 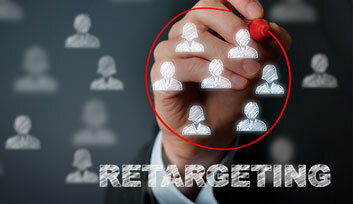 Retargeting campaigns must be reasonable, and frequency capping is a must-have. Impressions must be carefully dosed per each user; otherwise, they will come across like a pushy salesperson following you every step of the way. The next frowned upon issue is user tracking. You are probably horrified simply by reading the word ‘tracking’ as you automatically thought about grim scenarios from futuristic movies, Mr Snowden and evil corporations using valuable data provided, unawares, by no other than yourself. However, the real situation is far from your imagination. We need to emphasise that in this case the tracking is anonymous and the data in question is stored locally on user’s device. There are no big corporations, who know your name and favourite websites. There is simply a mechanism, which will provide a potentially interesting ad. Would you rather see ads for car tires while you are buying a new iron, or an ad for a home appliances discount? We can certainly say that retargeting is yet another mighty weapon that will help you achieve better goals for less money than traditional methods. Wise handling can deliver extraordinary results. On the other hand, if fallen into wrong hands, it can create aversion towards the brand and tarnish the brand image. With additional upgrades and more substantial data on which the retargeting decisions are based, this technology will continue on an upward trajectory on the way to its peak. At least until predictive marketing takes over, which is, by the way, already peeking around the corner. Predictive marketing enables user targeting not based on their past actions but on actions that they are yet to perform.